UMA Health | Steven A Cope LCSW (New York, NY) - Book and pay for an appointment in a few simple clicks! Seasoned Clinical Social Worker Therapist, experienced in treating adult-individuals, couples & groups. An interactive therapy style along with intuitive use of humor, active listening, empathy & honest feedback, are all incorporated to help foster awareness along with the actions that are needed to bring about “ change “. Wisdom backs up the belief that therapy is for the “winners” who have the courage to explore their issues, while those that don’t, the “losers”, suffer greatly from the avoidance of them. Please take this invitation for a “Free" 15-minute introduction of yourself before deciding to begin your personal journey towards change. Telecare is available for the Initial Consultation anytime. Certification & Professional Experience : Post Graduate Intensive Training , Marriage Relationships & Couples Treatment, ( EAP’S) employee assistance programs & short term evaluation assessments of employee’s , later stage outpatient Addiction Recovering Treatment , Step -Family & Step- Parenting Relationship Issues , ADHD Treatment/ Awareness, Men’s Issues , Introversion Sensitivity Focused Treatment, and Depressive/ Anxiety/Stress Management Mood Disorders. Reasons for coming to treatment, history of past & present symptoms including medications, what does patient want out of treatment, functioning assessment, personal relationship history, evaluate employment functioning, explore possible solutions to problems and deciding on a plan of action. Go over therapy expectations, lateness rules, and agreed upon payment arrangements. Online phone contact available (Telecare). In person available only Thursday and Friday in office. Continue to follow up on information covered in initial consultation and explore any new treatment information to focus on. All services are available via phone or video chat during available hours. Marriage,Couples, Family, Friends, Sessions to clarify & support clients treatment. Sometimes, outside relationships in a clients life are very helpful in the support & clarity of identifying treatment issues. Brief participation of significant people in clients life to either add support or clarity history/treatment information. I have been working with Cope for the past year. He has often given me insights into my life that I was unable to recognize for myself. He has helped me build strong relationships with family who once caused me pain. He helped me assess situations with a different lens that ultimately allowed me to live a happier life. 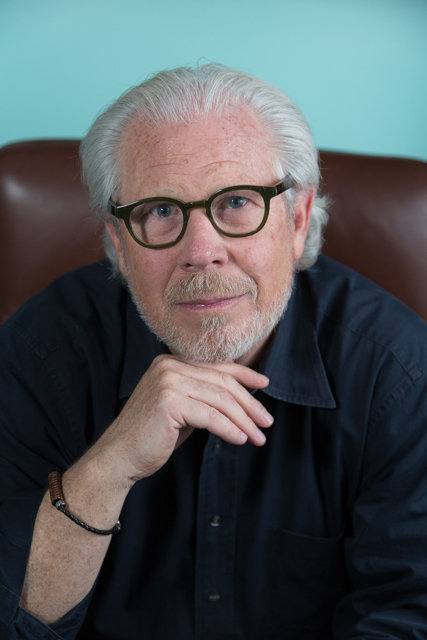 Due to his excellent care, he suggested I see a psychiatrist and for the 1st time in 30 years, I was properly diagnosed and given the treatment necessary to wake up and feel like "myself" - I highly recommend Steven Cope to anyone who wants to work with someone who is caring, honest, and really can help. My first time seeing a male therapist and I've been so pleasantly surprised with the results. I've been seeing Mr.Cope for almost three months now, and he took me in the first time despite not having confirmed the appointment. He truly does care which is so important, and I immediately felt safe to speak about what I needed to. He offers genuine care and direction and has wonderful insight. I feel challenged to think and work in a different way that is better serving me to feel more grounded while also taking risks in my life. I feel so supported and am grateful to be able to connect with someone like Mr.Cope! I would recommend him for anyone needing guidance and support, specifically when navigating relationships. Steven was excellent! He has a wonderful personality and really made us feel at ease. Marriage counseling can be uncomfortable but Steven made us feel comfortable and once we were comfortable, we opened up and had quite a few “aha” moments. I would recommend him without any hesitation to any couple finding themselves having the same arguments. Are we completely healed? No. But, after a single session with Steven, I am able to look at my husband through a less critical lens. I am looking forward to reading the books Steven recommended and beginning our journey to true happiness. Mr. Cope is true to his profession. He makes you feel welcome, and provides a non judgemental atmosphere that makes you feel comfortable in opening up to discuss sensitive issues. Mr. Cope is caring and patient. He is also honest in providing feedback and tools to help you in your daily life. I would definitely recommend him.